Today is a special day for Hakura. She is bringing her koinobori, or carp-shaped kite, to show the other children at school. But will she make it to class in time? Readers of this charming story will follow Hakura through the streets of Japan. They'll see blooming cherry trees, watch theater performers and Sumo wrestlers, and learn about the festival called Kodomo no Hi, or Children's Day. 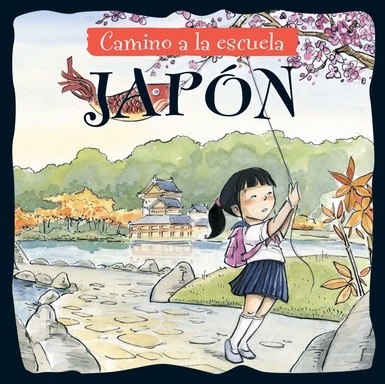 Readers will learn about the food, music, clothing, etiquette, games, and religion of Japan through this endearing story. Gorgeous illustrations will enchant even reluctant readers and encourage an interest in Japanese culture.